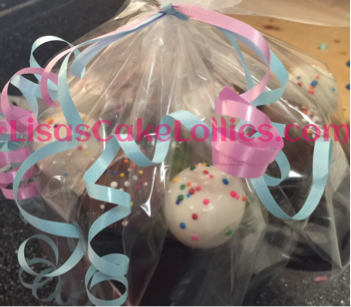 Budget Friendly Cake Lollies Arrangement. 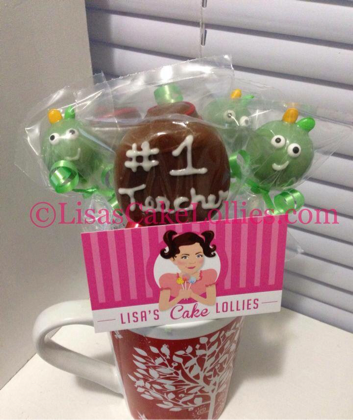 Includes 1 Character and 5 Simple Decorated Cake Lollies in a holder. 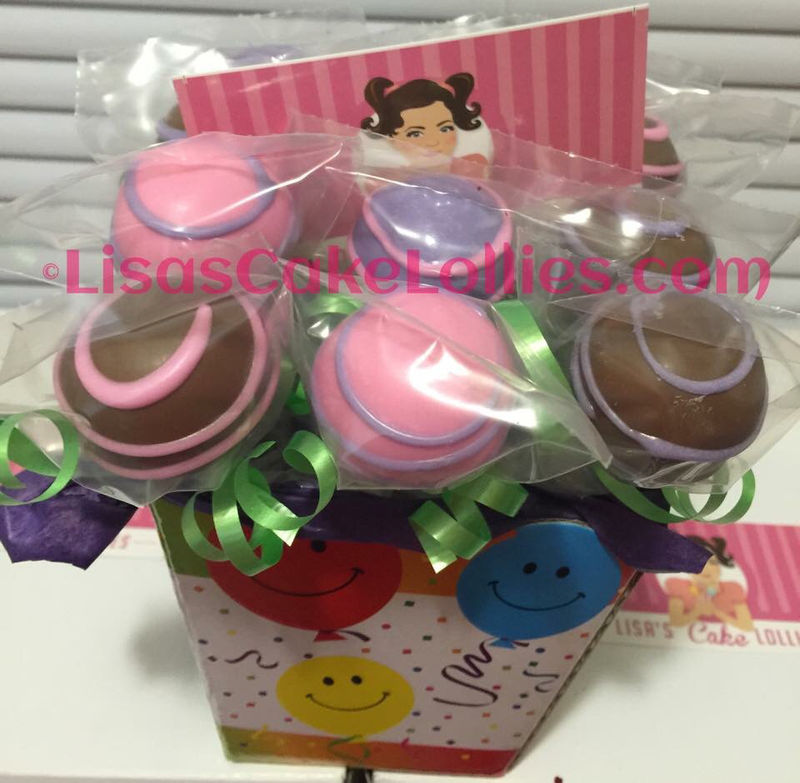 45th Birthday Cake Lollies Arrangement. 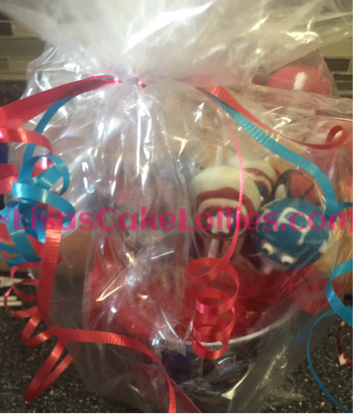 Can be made with Small or Medium Cake Lollies and 1 or 2 Dozen Cake Lollies. 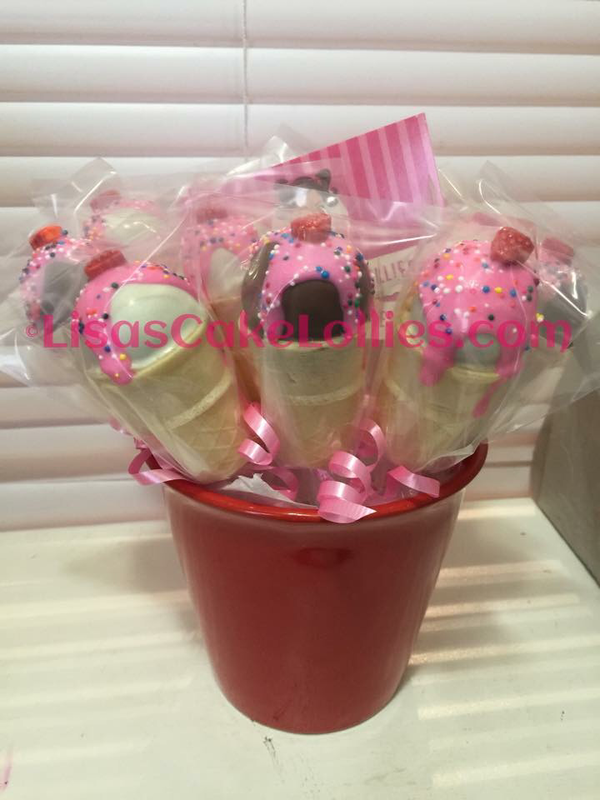 Ice Cream Cone Cake Lollies Arrangement. 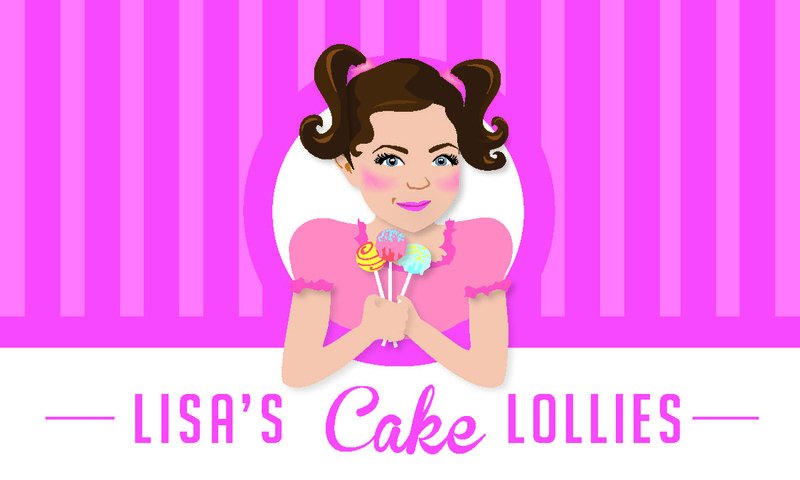 Made with 1 or 2 Dozen Cake Lollies. 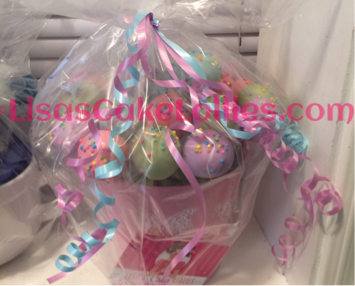 Birthday Thank You Arrangements. 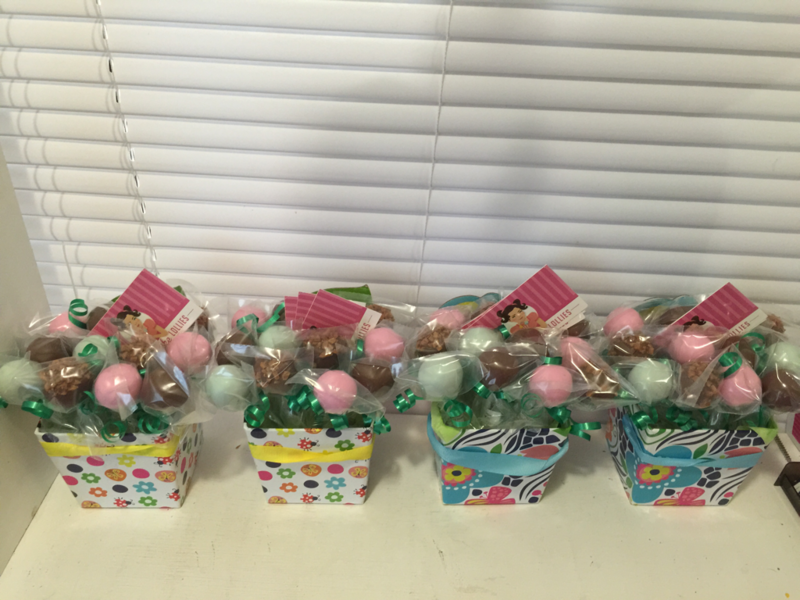 These were done as a Thank You for coming to the Birthday Party. 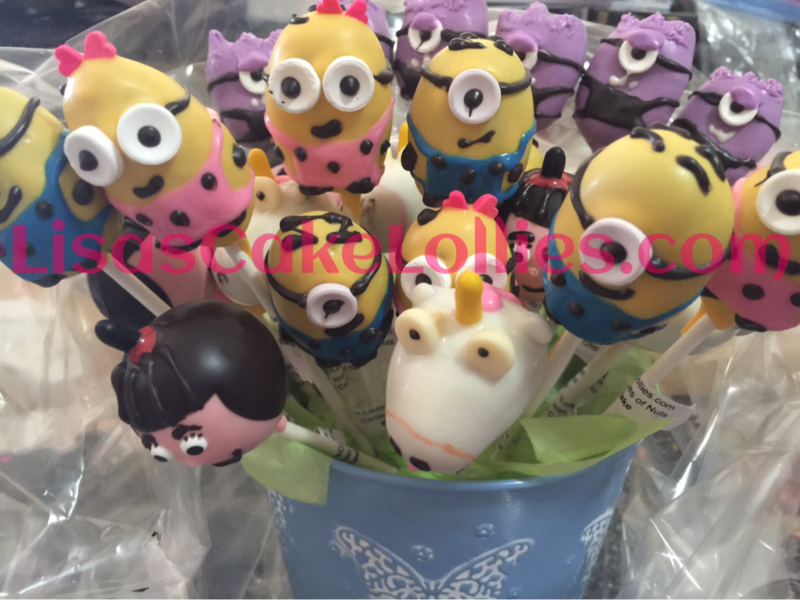 They are Budget Friendly Arrangements, include 1 Character and 5 Simple Decorated and an added bonus of 1 Thank You Balloon Cake Lolly. 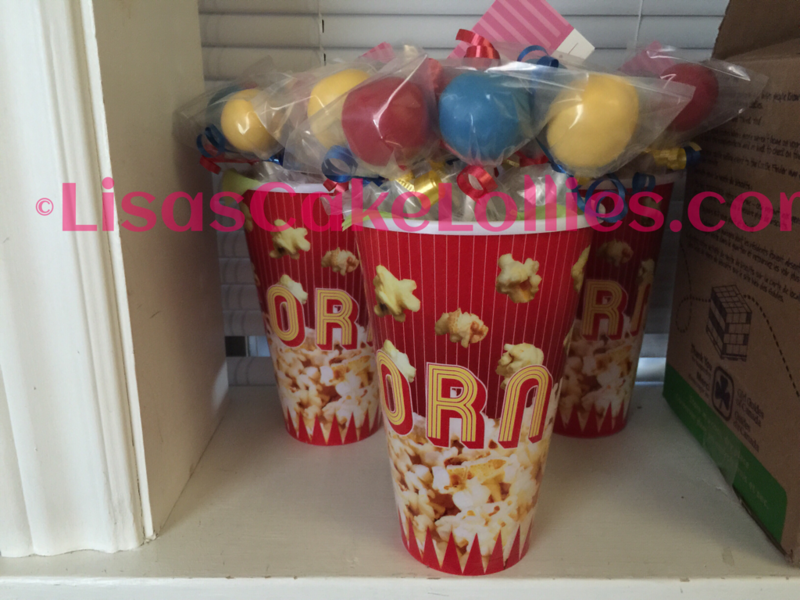 Circus Themed Cake Lollies Arrangements. 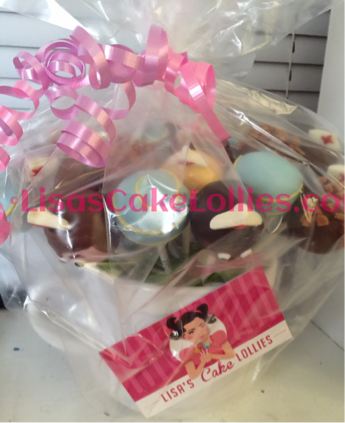 Made with 1 Dozen or 1.5 Dozen Cake Lollies. 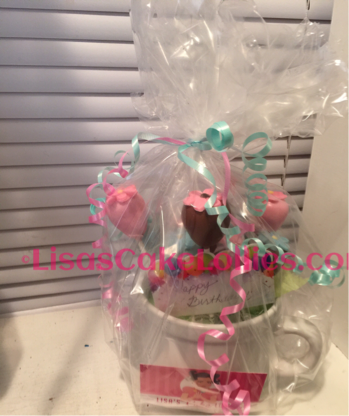 Frozen Themed Simple Decorated Cake Lollies Arrangement. 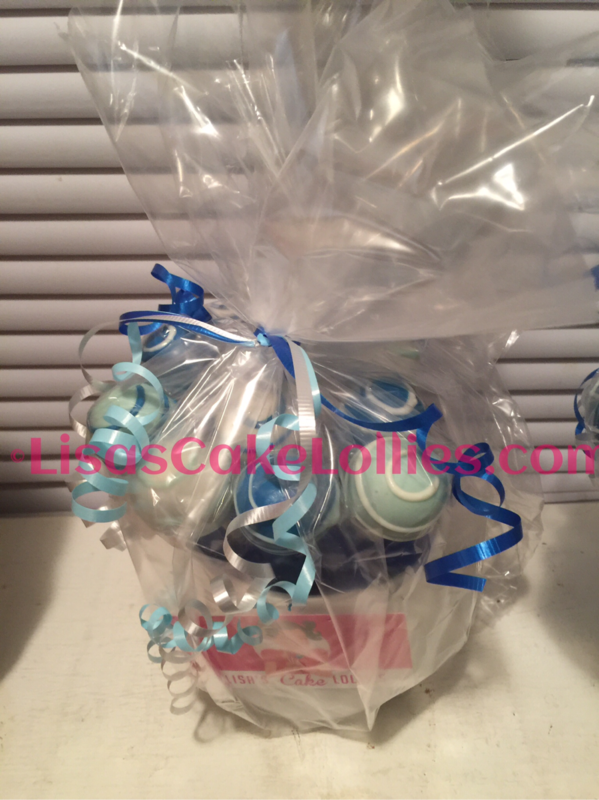 Includes 1-1.5 Dozen Chunky Sugar Blue Cake Lollies. 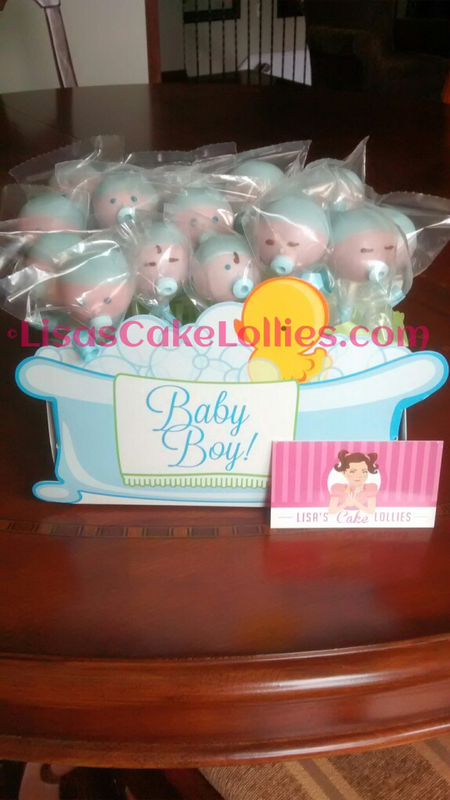 Welcoming Baby Cake Lollies Arrangement. 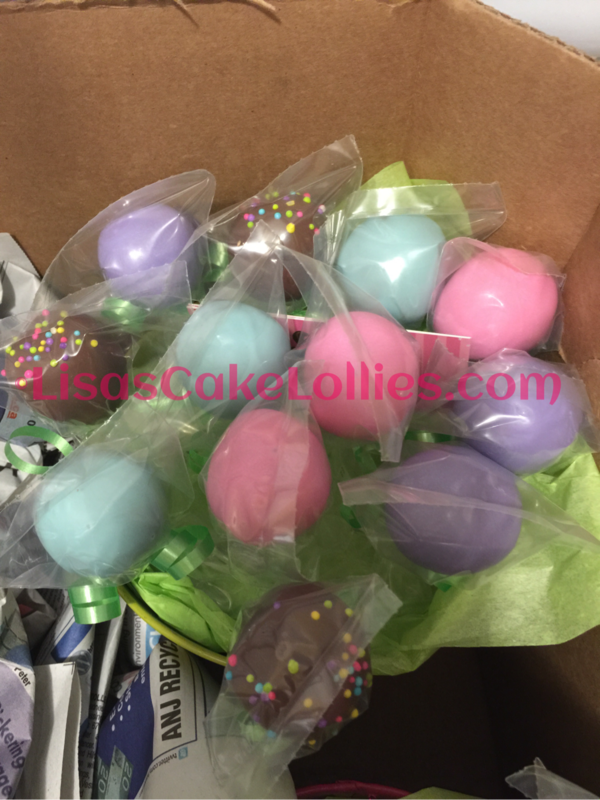 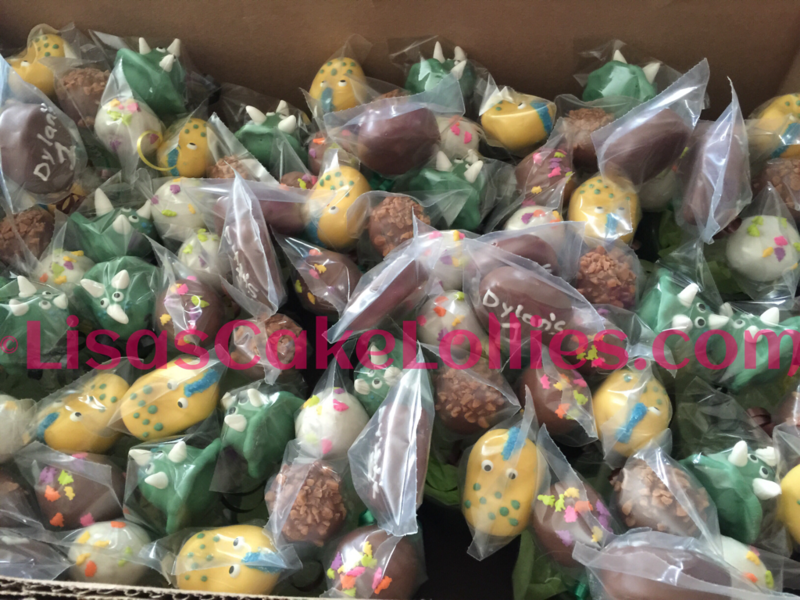 Includes 2 Dozen Baby (Character) Cake Lollies. 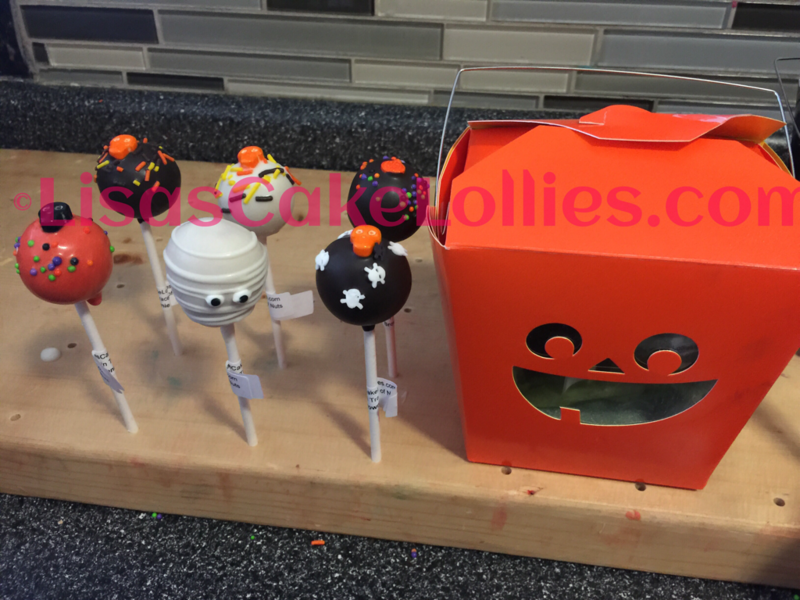 Can be made with 1 Dozen Baby Cake Lollies And 1 Dozen Simple Decorated Cake Lollies. 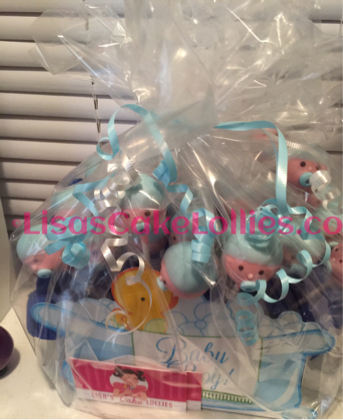 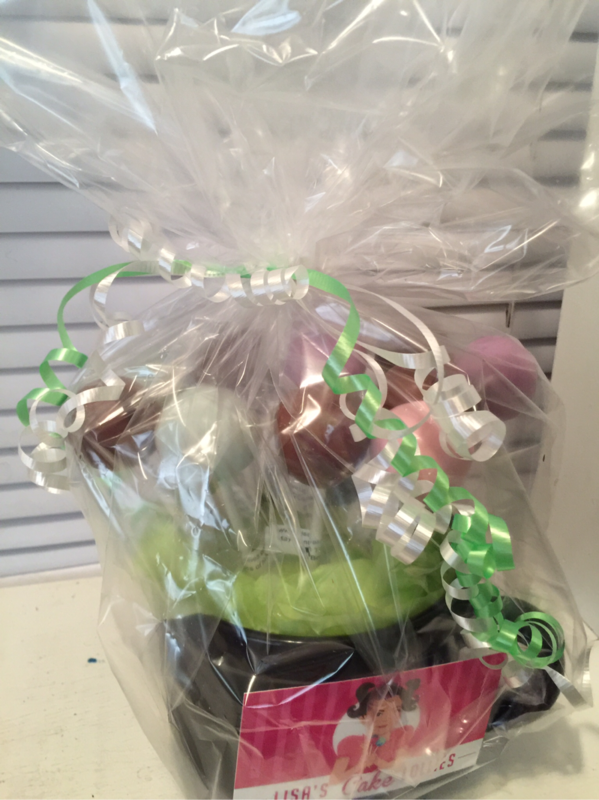 Great for Birth of a Baby or Baby Shower or Meet The Baby Shower. 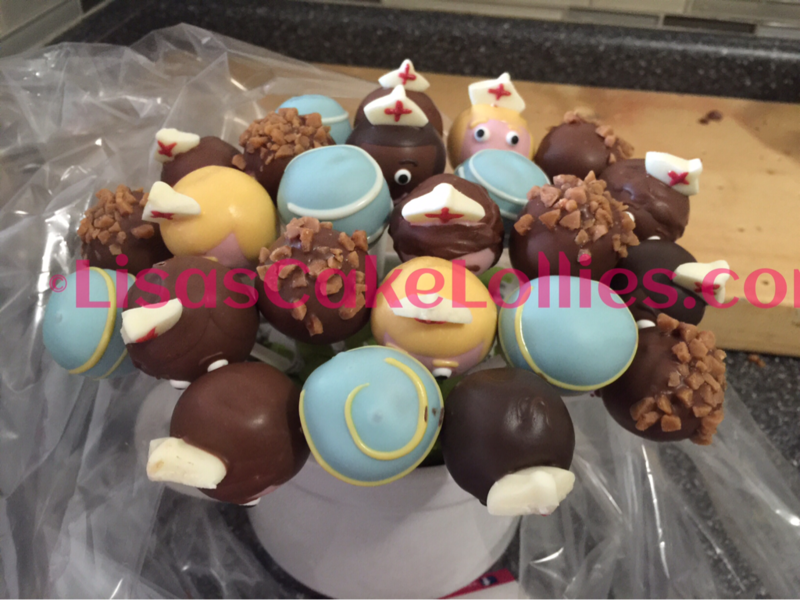 Get Well Soon Cake Lollies Arrangement. 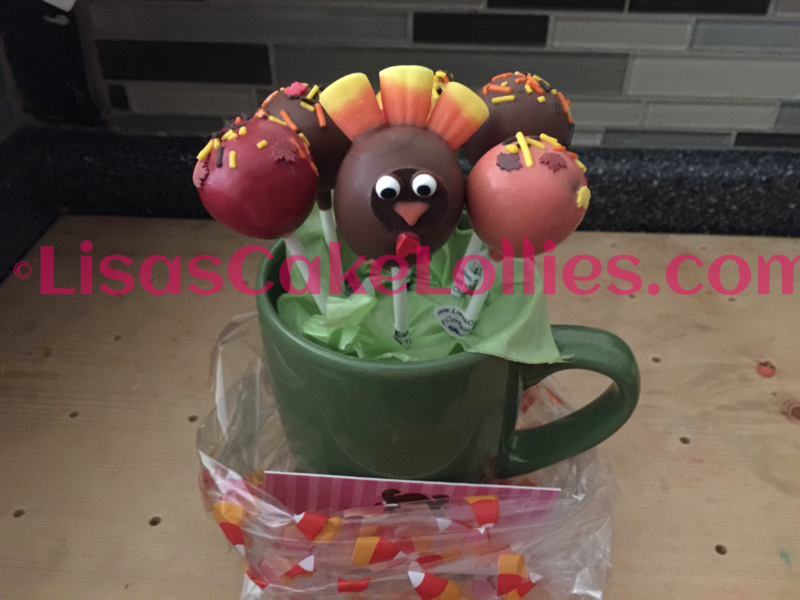 Made with 1 Dozen or 2 Dozen Cake Lollies. 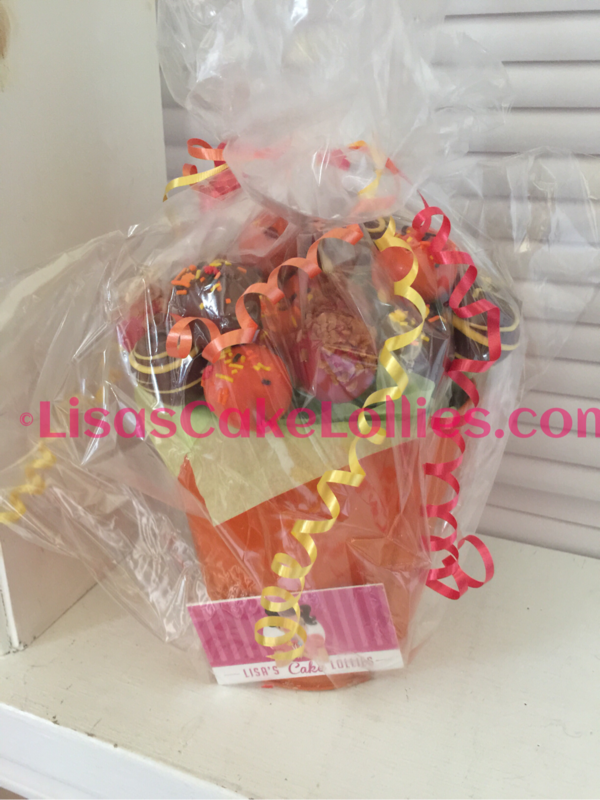 Thank You Teacher Cake Lollies Arrangement. 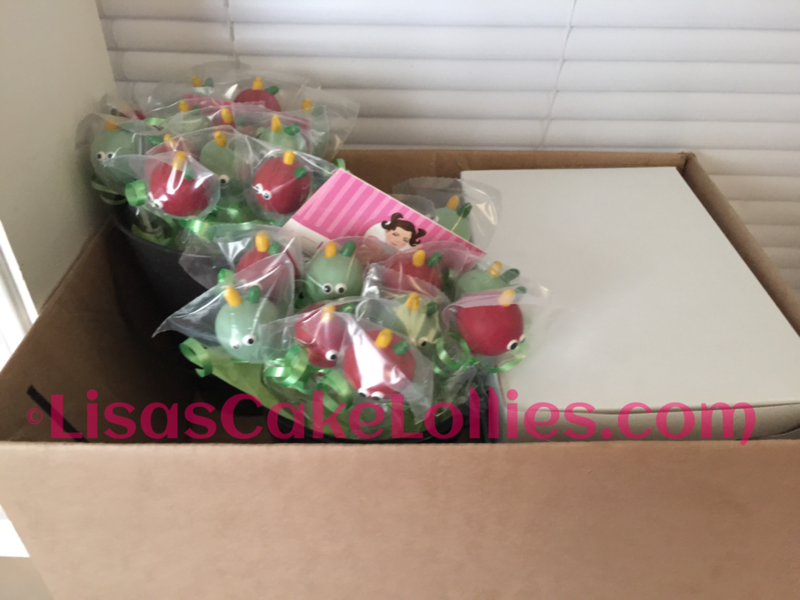 Includes 1 Dozen Apple (Character) Cake Lollies and 1 Dozen Simple Decorated Cake Lollies.